The new Windows 8 comes up with Metro UI and has many amazing apps in it. 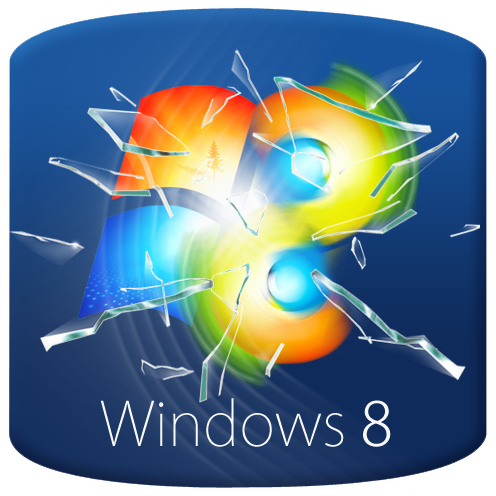 The new Microsoft Windows 8 is designed for some challenging job. It is believed that the new OS will be friendly, fun to work with, lightweight and fresh. The Metro UI this design tactic has all been taken from Windows Phone, Windows for desktops, laptops and tablets that have been tricky most times. The Metro on a touch screen is a pleasure and conjures up the Microsoft surface experience, but can be a bit odd while we are using a mouse or trackpad. So it will be quite possible to use Metro without touch screen as we have keyboard shortcuts and hotspots in the corners. It can also be substituted to the normal desktop mode immediately when we use the lower left tile. While Windows 8 Release Candidate, the follow up to Consumer Preview, the familiar Start Menu is still MIA (third party utilities can replicate it). Aero is still here but Microsoft is suggesting to axe it for the ultimate release. The Windows 8 that runs on the tablets will have Intel and AMD CPUs and Windows 8 RT that will run on ARM based tablets. As Microsoft says that in future every other laptops and PC’s will have touch screens, so rightly they have introduced the Metro now. To test out the video quality, Samsung Series 7 Slate and the Lenovo ThinkPad X230 notebook has been used to see the difference in interactions. The Samsung Slate has Intel Core i5 ULV CPU and it ships with Windows 7 while the Lenovo has the new Ivy Bridge i5 12.5” notebook. The resolution of both is 1366 x 768 pixels but the Samsung has a touch screen. Though very little has changed from the Consumer preview but the new Windows is full featured with a good selection of Metro apps. It can also remember the things that we have downloaded or purchased. It has many drivers which made easier to install and also added a thumb key in addition to the standard on-screen keyboard. It is fast, boots quickly and has many apps that are helpful.